Sigyn is becoming very adept at spotting the tiniest flowers. Of course, she has the advantage of being, shall we say, rather close to the ground. Look! She has found the very itty-bittiest of morning glories. By Yggdrasil’s roothairs! These flowers are even tinier! "Carpetweed," the human female calls them. (I never had any carpet that looked like this.) And of course, we have to stop and take photos. Forgive my scowl. Despite my complaining, I’m happy enough to be out for a walk with my Sigyn, but the sun is in my eyes. The human female has dragged us out into the howling wilderness. 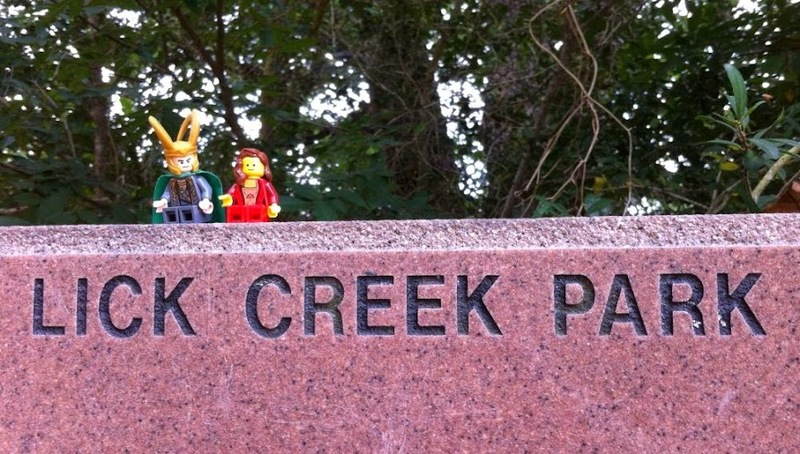 Oh, she says it’s a park, but I cannot be so easily fooled. There are no paved paths, no benches, no pavilions. There is mud and hot sunshine and unmowed grass. There are mosquitoes here, and ants, and spiders–and no doubt vicious beasts lurking in the undergrowth, just waiting to devour us. I itch and we’ve scarcely left the parking lot. 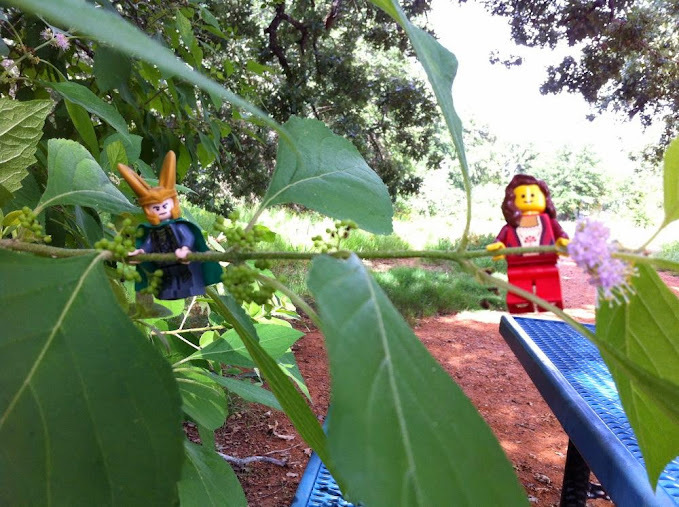 Sigyn, of course, is entranced by the flowers. She has crawled up into this Beautyberry to smell its blossoms, and of course, I had to scramble up after her to make sure she’s safe. I guess the berries come later? It’s certainly not much to look at now. No, my dearest is definitely the prettiest thing in this park. Who keeps stuffing the silverware drawer with useless plastic cutlery from take-out meals and those little packets of vile "soy sauce" from the Chinese place? Who took the warning twisty-tie off the handle of the spoon that went through the garbage disposal and will shred your mouth with invisible roughnesses if you eat with it (but which is still perfectly fine for stirring things so it hasn’t been tossed)? And who dropped all the crumbs in here? Good questions, all of them. You should look into it. 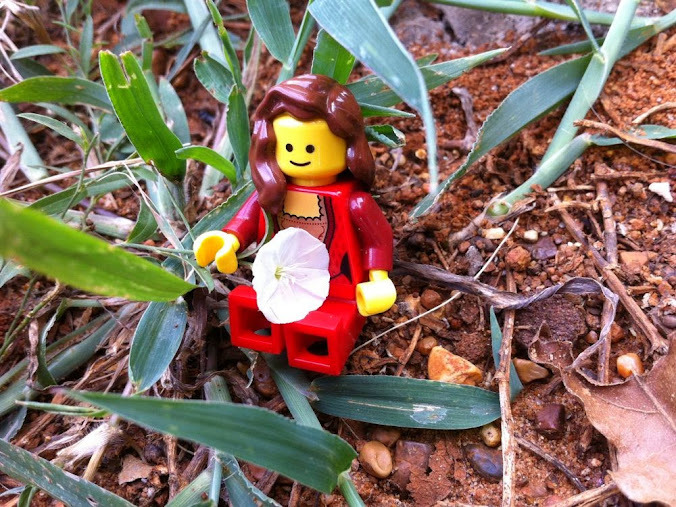 The human female is out "botanizing" again. As usual, Sigyn asked to tag along, and I have gone with them to make sure the human’s innate carelessness doesn’t endanger my beloved. The human says these are called basket flowers. Why? For no reason that I can discern. Still, she finds them engrossing. 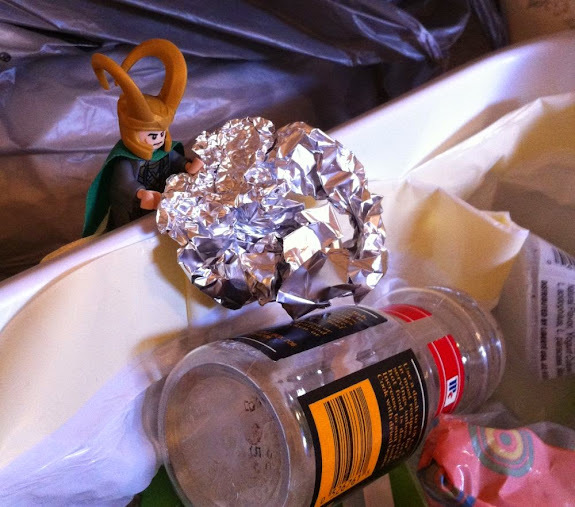 Sigyn finds them climbable. Do be careful, sweetling, and use both hands! That’s better. My helmet is definitely an asset. 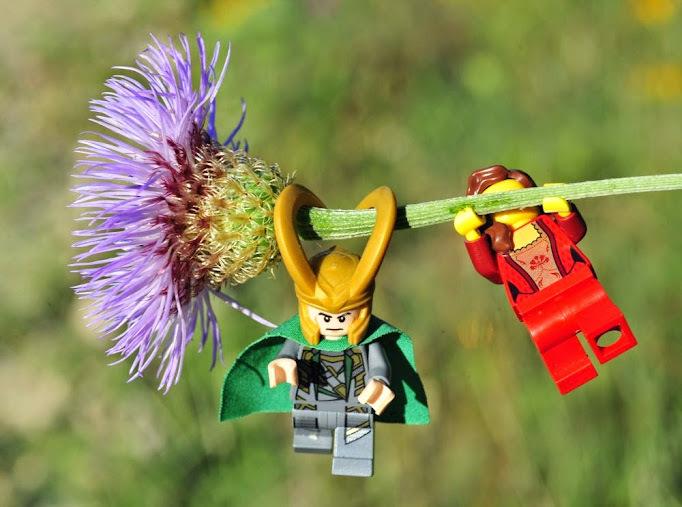 Sigyn would gladly stay here all day, swinging on the flower stalks, but look: it grows late. Please, can we be done now? I don’t always demand credit for my mischief. For example, when, after tearing the house apart in a frantic search, the humans find this important scrap of paper under the refrigerator with the catnip mice, the milk jug rings, and the jingly balls, I will be only too happy when the cat gets the blame. Once again, Sigyn and I are traveling with the humans. They have chosen to stay at the most confusing inn I have ever encountered. Take, for example, this door near the lift. I have used my magic and my (grudgingly) acquired knowledge of this state to create a precipitation map. Note the plump, perfect eastern portion and increasing scantiness as one moves westward. The Plains and Panhandle are experiencing a drought, while the Trans-Pecos in the far west has had a bare 1.5″ of rain so far this year and scarcely registers at all. Sigyn is inspecting Galveston Bay in the compartment to her south.